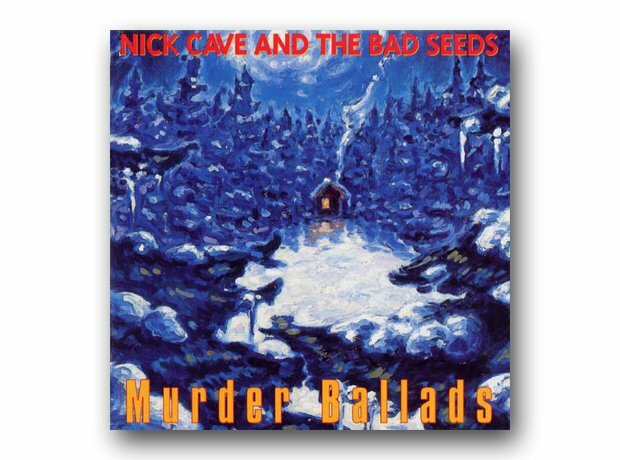 Cave's ninth album with the Bad Seeds featured a couple of notable guest appearances: Kylie Minogue on Where The Wild Roses Grow and PJ Harvey on Stagger Lee. The band - led by singer Mark Morriss - released their debut album, which included the classic Slight Return. The punningly-titled album from the Hounslow trio included the evergreen Good Enough and If You're Thinking Of Me. Neil Hannon's fourth album included the tracks Something For The Weekend and Becoming More Like Alfie. Robert Smith and co's tenth album included The 13th, Mint Car and Gone! The much-loved band, featuring Richard Hawley, released their debut album, which included the favourite She Said. The band's second album included Getting Better and the classic Going For Gold. The band's fourth album, and their first without Richey Edwards. Tracks included Kevin Carter, A Design For Life and Australia. The trio from Northern Ireland released their full length debut, named after the year in which two members were born and the Ash favourite Star Wars was released. Tracks included: Girl From Mars, Oh Yeah, Goldfinger and Kung Fu. The enigmatic Scottish collective, led by Stuart Murdoch, released their limited edition debut album. Beck Hansen's fifth studio album included Devil's Haircut, The New Pollution and Where It's At. Mr E's debut album landed in 1996, which included the classic Novocaine For The Soul and Susan's House. Taken from the Swedish band's third album, Lovefool became a smash when it was used in Baz Luhrmann's movie version of Romeo And Juliet. Brett Anderson and co's third album included the tracks Trash, Filmstar and Beautiful Ones. The debut album from Crispian Mills and his band was released this year, which included Govinda and Tattva. Rivers Cuomo's band of nerds issued their second album, which included El Scorcho and Pink Triangle. The debut album from the Liverpool band included the hits Female Of The Species and Neighbourhood. The late, lamented band released this posthumous live album, which was recorded between the years 1989 to 1994. Josh Davis released his incredible debut album in '96.